Coming to Christchurch for the Ski Season, Roma on Riccarton Motel is less than 2hrs drive away so perfect for that day on the slops and then back to a cossie room with plenty of Cafes and restaurants all around. Roma on Riccarton Luxury Motel has you covered, we have air conditioning, spacious modern rooms. 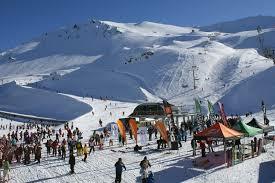 Save time when you get to the mountain and book your lift passes and packages for Mt Hutt. This entry was posted in Attractions And Events, Entertainment, Events.